Justin Timberlake speaks onstage at The Hollywood Reporter's 2017 Women In Entertainment Breakfast at Milk Studios on Dec. 6, 2017, in Los Angeles, California. If the latest photos from Justin Timberlake's new album campaign don't relay the message that he's into nature and the woods, his first listening for the project drove the point home. But don't get too concerned about the pop star switching gears, the album — much like the lead dance single — sticks to Timberlake's musical persona, as upbeat pop, R&B and electronic tracks make up the collection of 16 songs. Music industry insiders, members of the press and American Express cardholders — the company put on the event and will hold another on Wednesday — listened the full album as red lights beamed in the large space, which Timberlake helped design. 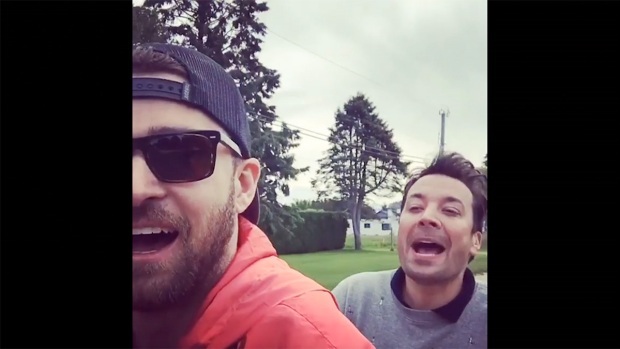 Jimmy Fallon and Justin Timberlake are kids at Camp Winnipesaukee, singing "What's Up" by 4 Non Blondes and Gloria Estefan's "Rhythm Is Gonna Get You," with cameos from Billy Crystal and Keegan-Michael Key. "I'm not going to go all Ray LaMontagne," Timberlake said at the listening, jokingly referring to the singer-songwriter known for his rock and folk sound. He called "Man of the Woods" a "personal album" and said the record is a tribute to his 2-year-old son, Silas, a name that means "living in the woods." 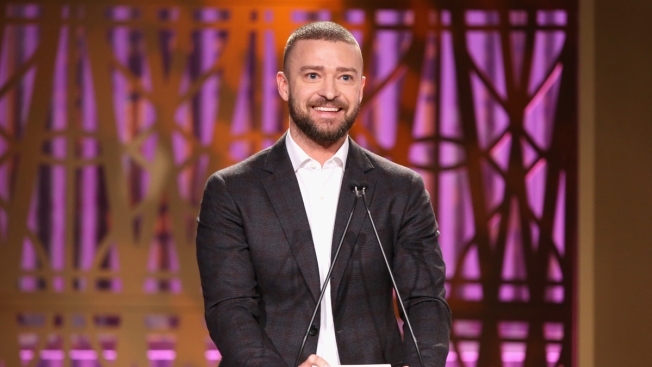 "That's where I got the idea," said Timberlake, who attended the event with his actress-wife, Jessica Biel, as well as family and friends he said had flown into town to support him. Silas' voice appears on the album's closing track, "Young Man"; Alicia Keys is on the rootsy "Morning Light"; and Chris Stapleton appears on "Say Something," which seemed to be a crowd favorite at the event. Timberlake, who will headline next month's Super Bowl halftime show on NBC on Feb. 4, worked again with mega-producer Timbaland on the album. First single and album opener, "Filthy," debuted at No. 9 on the Billboard Hot 100 chart this week.